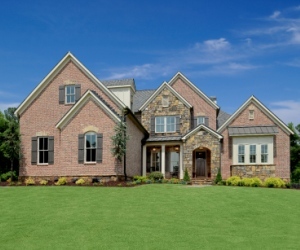 Are you looking for a luxury new home in a prime metro Atlanta location? If your answer is yes, then Traton Homes will soon offer you the perfect opportunity at Greenwich Park. Located in sought-after Johns Creek, Greenwich Park will offer a serene lifestyle with 21 single-family homes priced from the $800,000s. The announcement of Greenwich Park comes on the heels of Traton Homes’ successful completion of the final phase at St. Ives in Johns Creek. From the moment buyers enter the gated community, they will be welcomed by upscale finishes with stunning exteriors that will showcase four sides architectural detail and three-car, side-entry garages. Interiors of the homes will be just as beautiful with hardwood flooring, granite countertops, stainless steel appliances, luxurious master bathrooms, large walk-in closets and much more. Additionally, buyers will have a variety of home designs to choose from with master-on-the-main and master-up floor plans available. Residents at Greenwich Park will have ample opportunities to enjoy the best of Johns Creek with fabulous dining, shopping and entertainment located nearby. For the golf enthusiast, Greenwich Park is located just a short drive from some of the state’s best golf clubs including the Country Club of the South and Atlanta Athletic Club. If you commute to work, no problem. Greenwich Park is just minutes from I-85, I-285, 141 and GA-400. Children at Greenwich Park will receive an exceptional education attending State Bridge Crossing Elementary, Autry Middle and Johns Creek High (ranked No. 4 in the State of Georgia according to 2013 SAT scores). If you prefer a private education for your children, Wesleyan and Mount Pisgah Christian School are located nearby.